The R-7830 easily fits between the seats to mount to a bulkhead or back wall of a day cab, or can be front-dash mounted where a flat space permits. 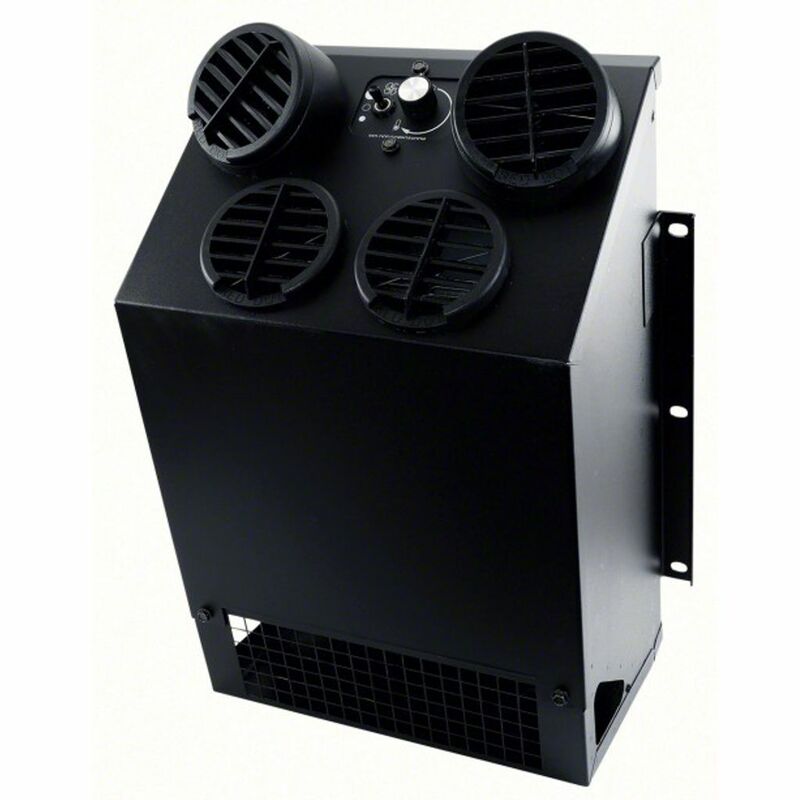 The welded steel housing provides protection yet allows easy access to components. Multidirectional diffusers send air where you need it. Floor support kit available.